Evaluate environmental load of the agriculture industry by taking Chongming Island of Shanghai as a case study. Propose feasible approaches to reduce the environmental impact of agriculture industry based on the research findings. The research boundary of our study covers from raw material extraction to agriculture product (cradle to product). Two stages are identified based on life cycle thinking: agricultural material production and planting process. 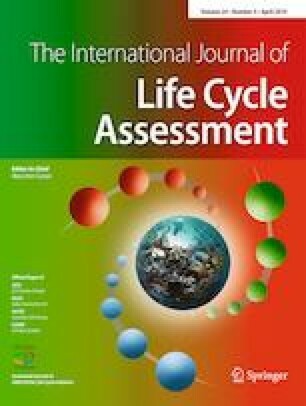 In the agriculture material stage, we evaluated the consumption of agricultural machinery and equipment for diesel, gasoline and electricity; then, the embodied environmental impact of these energy sources are calculated based on life cycle assessment (LCA). For the planting stage, we calculated the environmental impact caused by agriculture sowing, fertilizing, and spraying of pesticides also according to the LCA method. The environmental impacts of Chongming Island in 2015 are found as ecosystem damage (2.44E+11 species year), human health (2.86E+10 DALY), and resources consumption (1.15E+09 $). The primary environmental impacts in the agricultural material production stage are revealed as marine ecological toxicity (1.01E+06), freshwater eutrophication (5.26E+05), and human toxicity (4.04E+05), of which 90% of the impacts are caused by the production of nitrogen fertilizer, phosphorus fertilizer, and potassium fertilizer. The main environmental impacts in the agricultural planting stage are freshwater ecotoxicity (1.27E+06), freshwater eutrophication (7.70E+05), and terrestrial ecotoxicity (7.70E+05), which are mainly caused by pesticide residues and loss of nitrogen fertilizer, phosphorus fertilizer, and potassium fertilizer. The results of the environmental impact analysis of the Chongming agricultural production of 2008–2015 showed that there was a significant decline trend in 2011 and 2012, mainly due to the significant reduction in the use of nitrogen fertilizer. The main measures for the practitioner to reduce the potential ecological damage to agricultural production are controlling the N, P, and K fertilizer application and pesticide spray volume. In addition, the ecological environment can be improved by exploring techniques and measures for efficient utilization of agricultural resources such as optimizing the amount of fertilizer and application rate. Beijia Huang and Shun Li are co-first authors and contributed to the work equally. The online version of this article ( https://doi.org/10.1007/s11367-019-01614-w) contains supplementary material, which is available to authorized users. The research work is supported by grant from the National Natural Science Foundation of China (No. 71403170). Zhibo Lu is financially supported by the Shanghai Science and Technology Committee (No. 15DZ1208103).